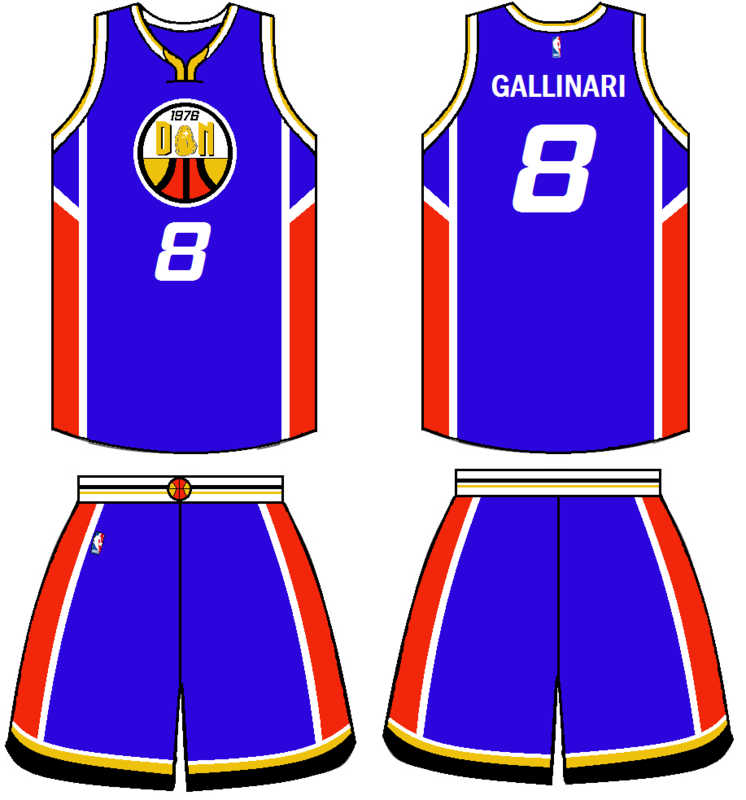 So this is my third NBA team concept and I've decided to do an NBA team that has never shied away from some funky designs. 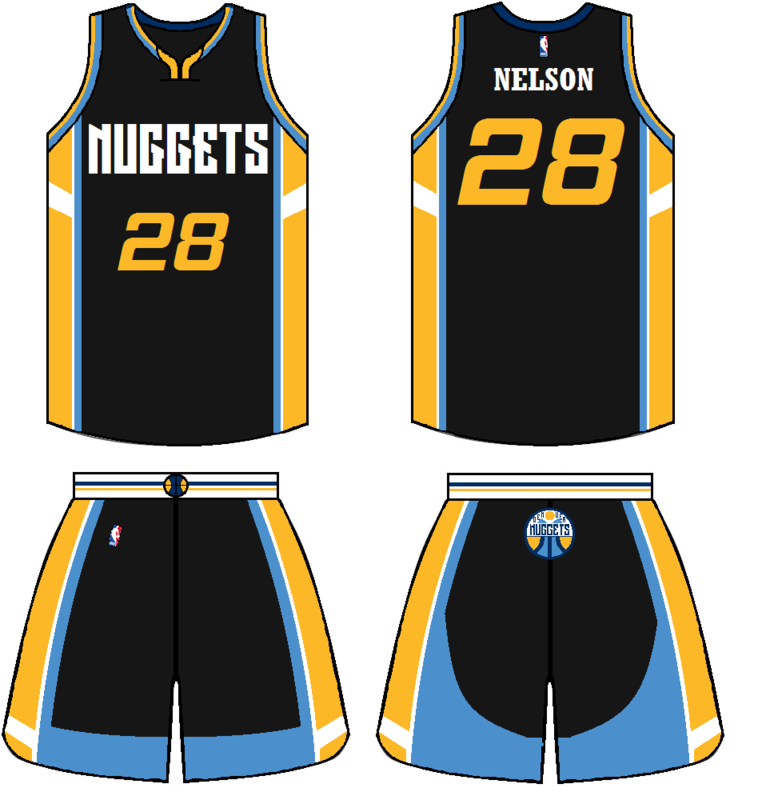 That team is the Denver Nuggets. 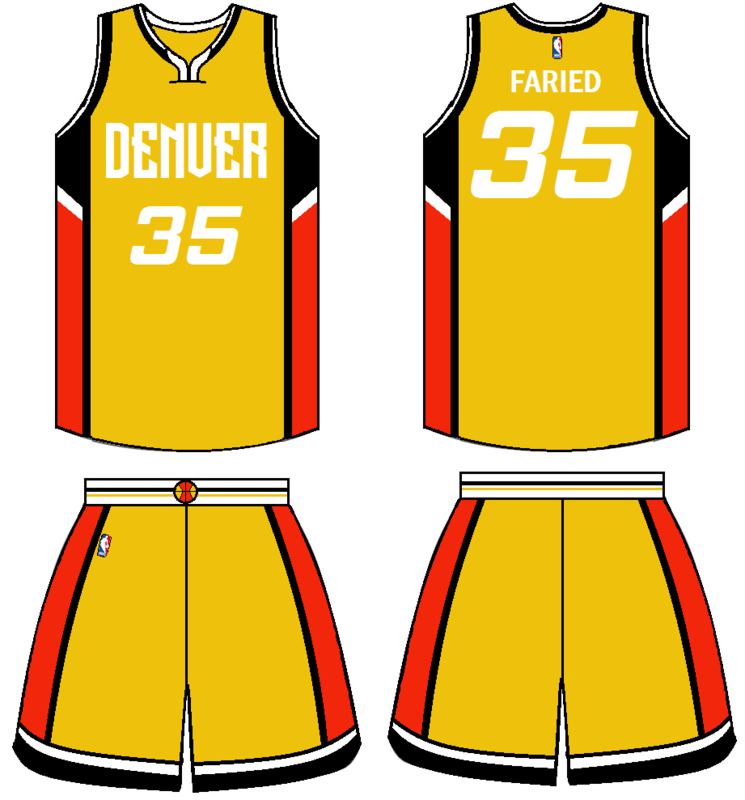 For my design I decided to utilize some elements from the city of Denver itself as well as retouching retired designs from the franchise's past. 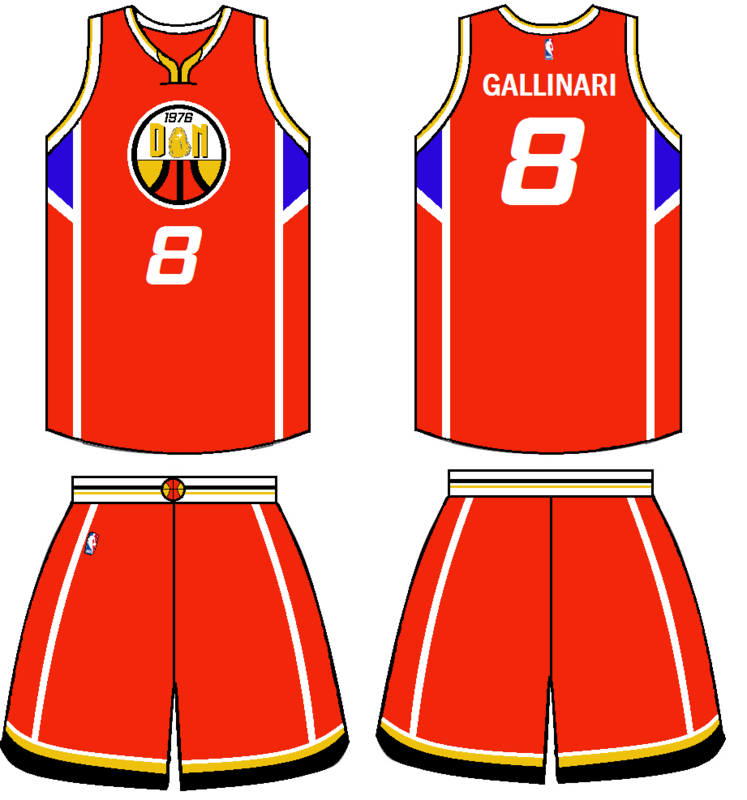 My concept includes a primary logo, a secondary logo, a home jersey, a road jersey, and an alternate as well as some other ideas for another possible alternate jersey. C & C is always appreciated and I know that these designs are far from perfect so I appreciate it when people point things out so that I may improve this design. If anything needs any explanation, please do not hesitate to ask. 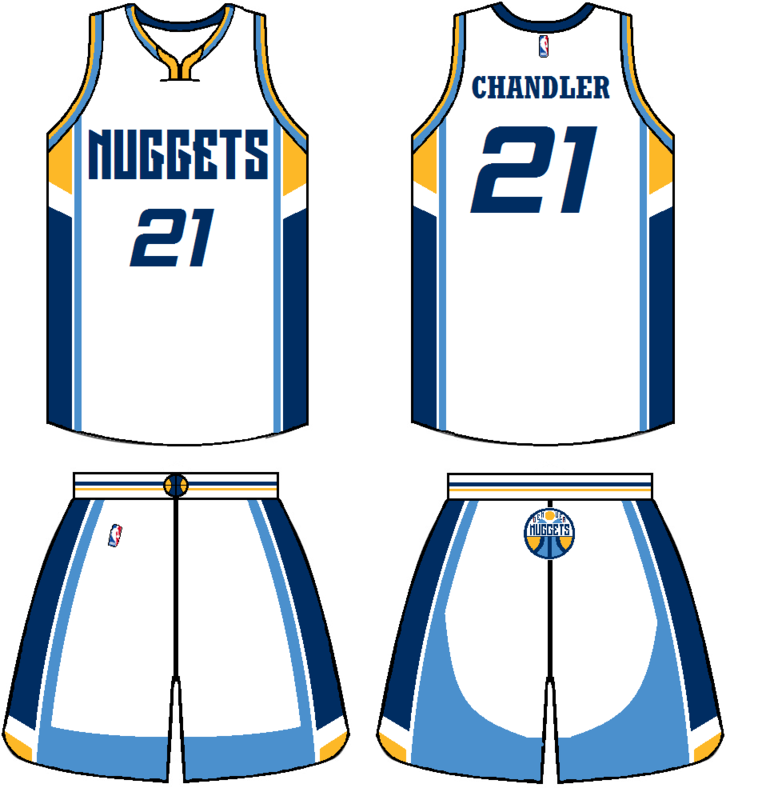 The Primary: The font is nice, but if blue is on the uniforms, put blue in the logo. 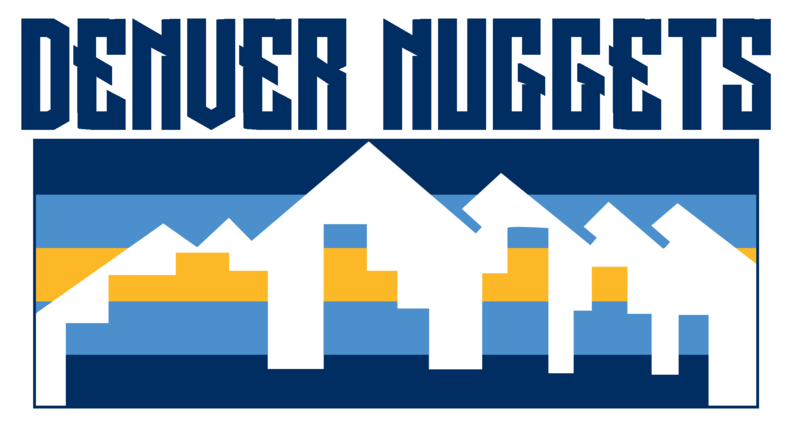 The Secondary: This looks like a logo for a mining company. 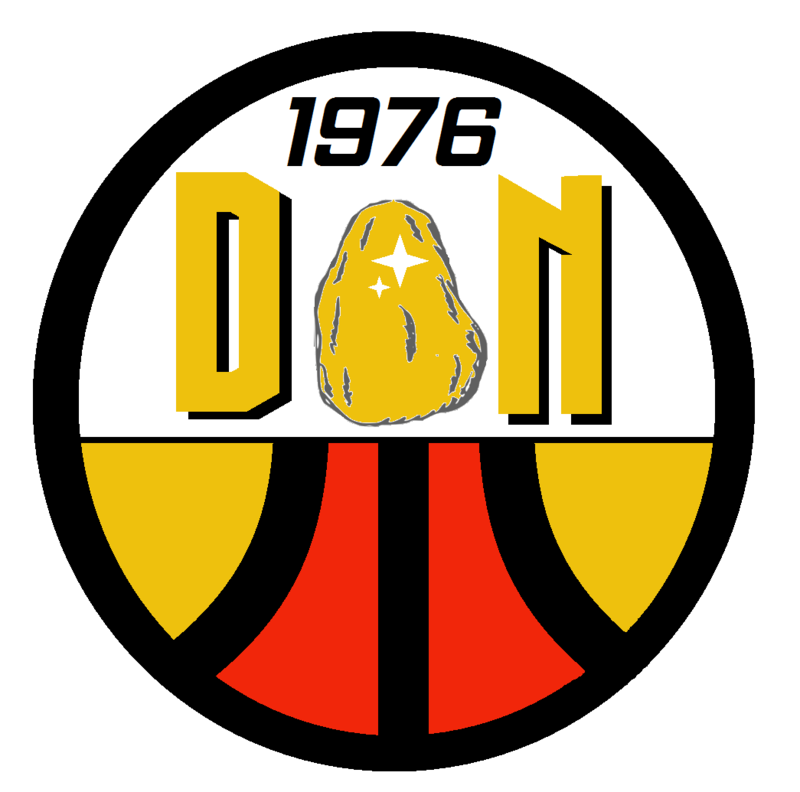 The gold nugget looks too 70's, I am not a fan of the "D N", and the 1976 should be smaller. Home: I was shocked to see blue on this. 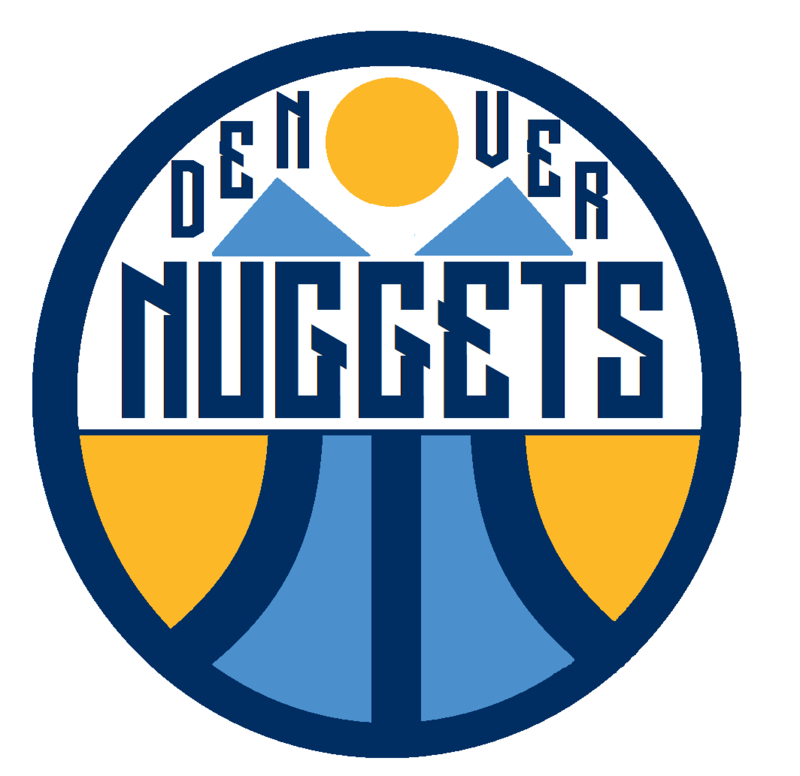 Either eliminate blue and replace it with yellow, or keep it and add blue to the logos. Away: There is a little too much going on here. You have a lot of clashing colors on this that don't make it great. Alt. 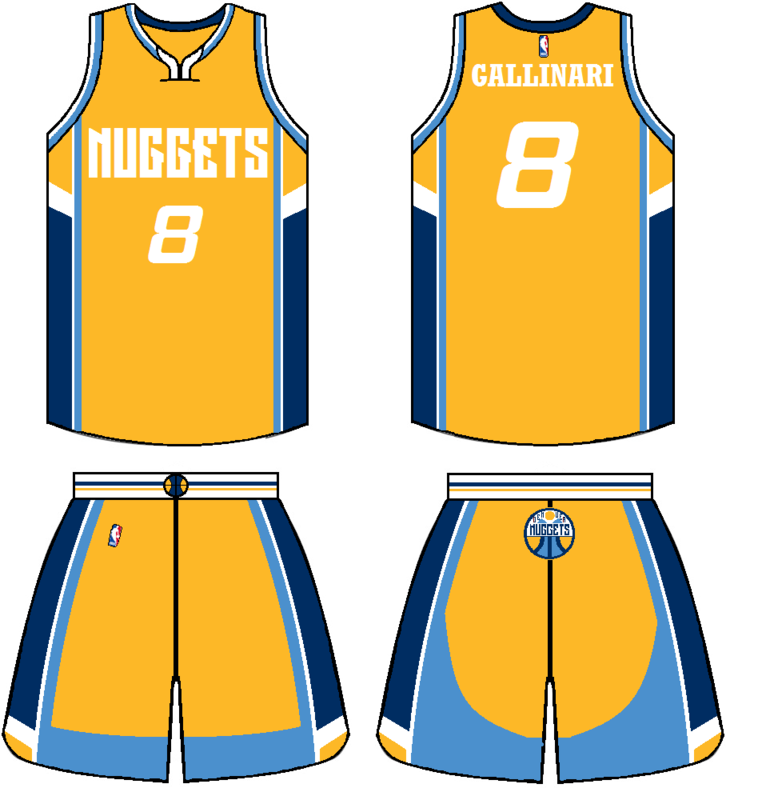 1: This looks really sharp, but I think it could use more yellow, as yellow is a primary color. 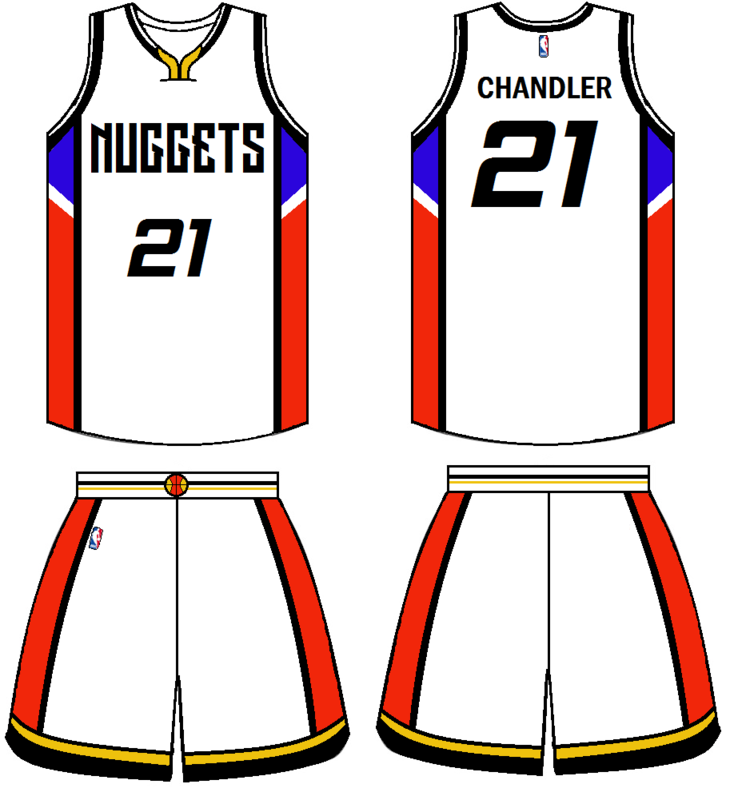 Alternate concepts: Both look good, but I would change the red piping on the red jersey to yellow and the blue piping on the blue jersey to yellow. Overall: I am not really happy with this, considering some of your other work. Try and build off of this with a more modern design. I agree with most of what jrcollis has said. But my advice is to take out black all together and replace it with blue. I have taken all of your comments into consideration and I have come up with this update for my concept. I have edited the secondary logo and have tried to give it a more modern look. 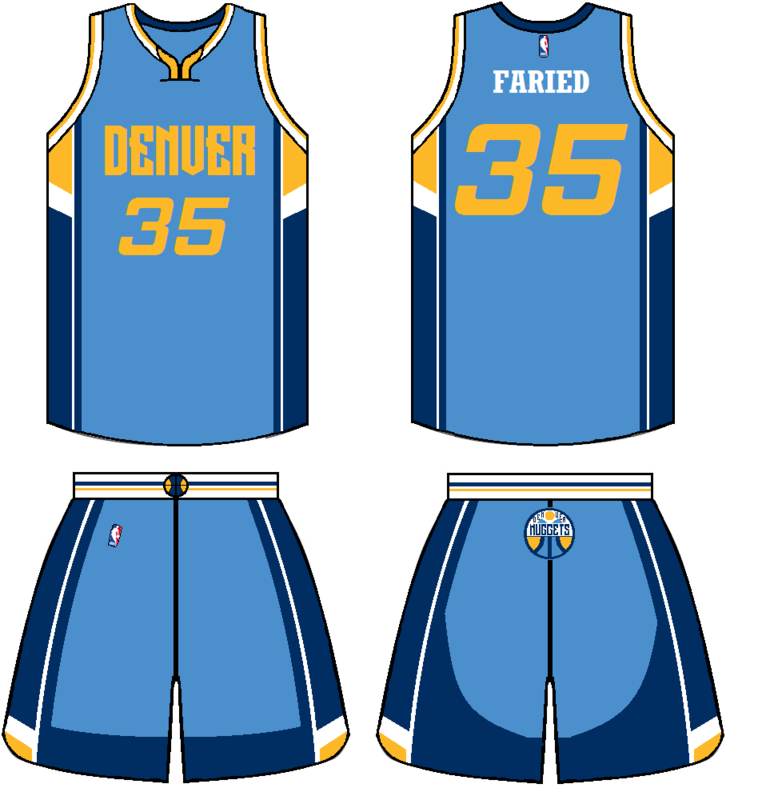 All of the jerseys have been edited and I have taken blue out since it did not appear in the primary logo. 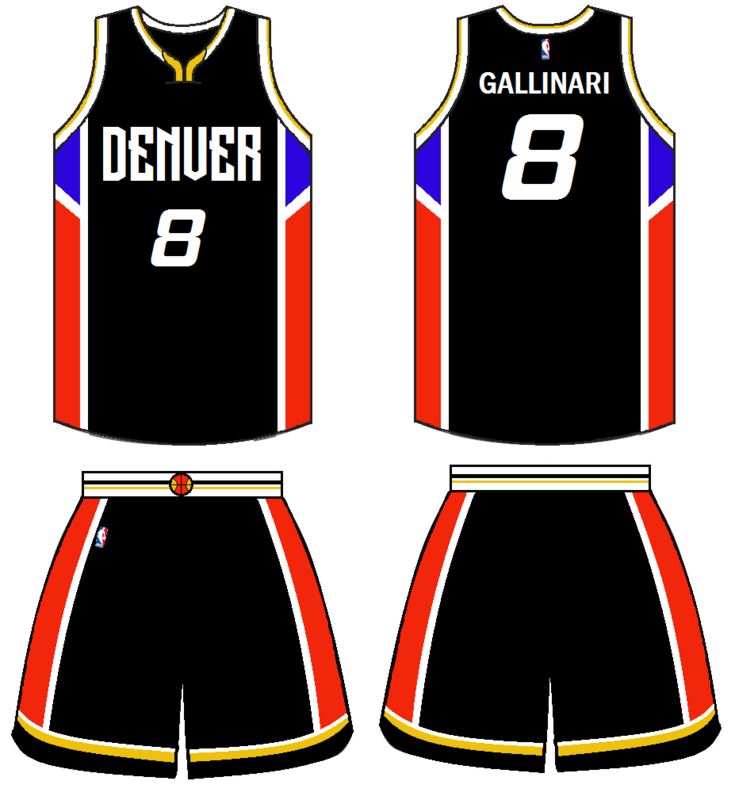 It was suggested that I remove black and use blue instead however, when I applied it to the primary logo, I did not feel that it looked as nice as the black/red/gold combo. I have also eliminated the blue alternate and have edited the red alternate. I've also moved up the black jersey ahead of the gold jersey as the primary road jersey. 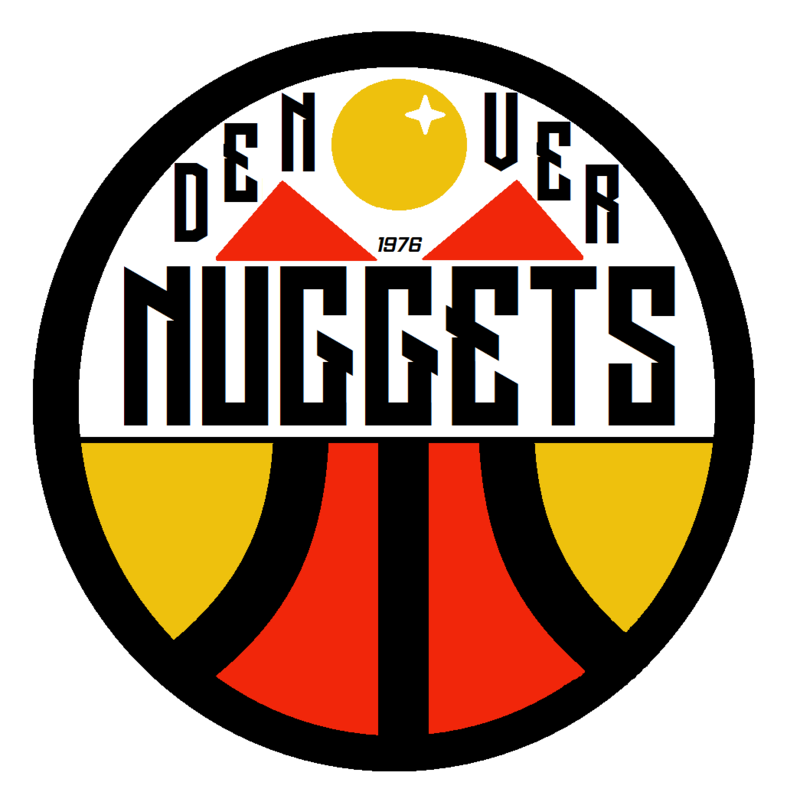 There are several issues with the secondary logo's ability to be reproduced in small sizes (like the small lettering--especially the date), but what really draws my eye is that the sun looks like an orange with that sunspot where it is. Moving the gold jersey to alternate status is wise because it can now be worn at home as well. I like the font you have selected. I think your colours might be clashing a bit. 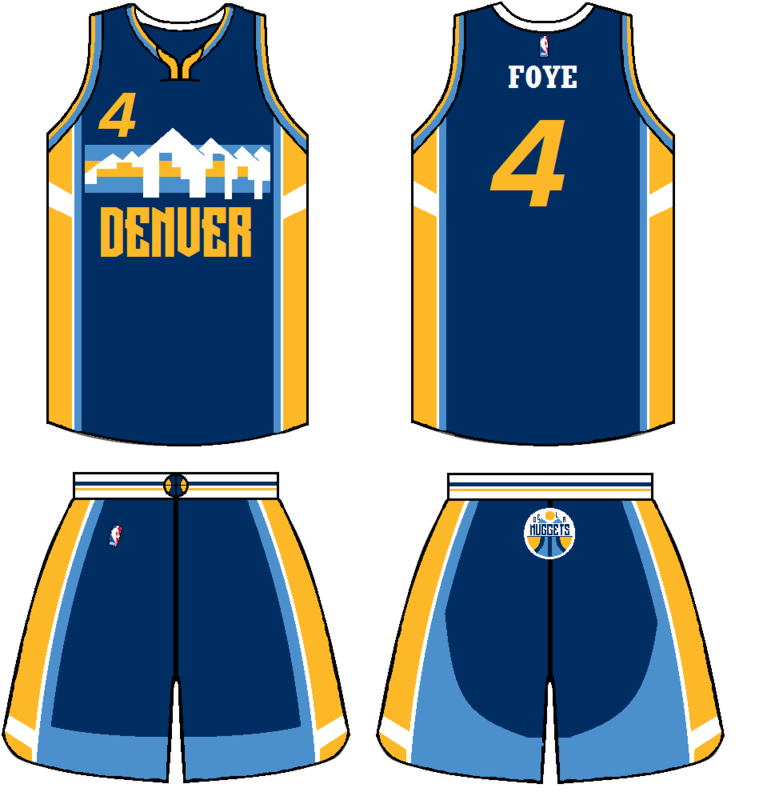 Simplify your pallet and the jerseys. I think this concept could look cool using the current colours the team is using. IMO the black really looks out of place in this set. It looks forced to me just like in the Clippers rebrand. 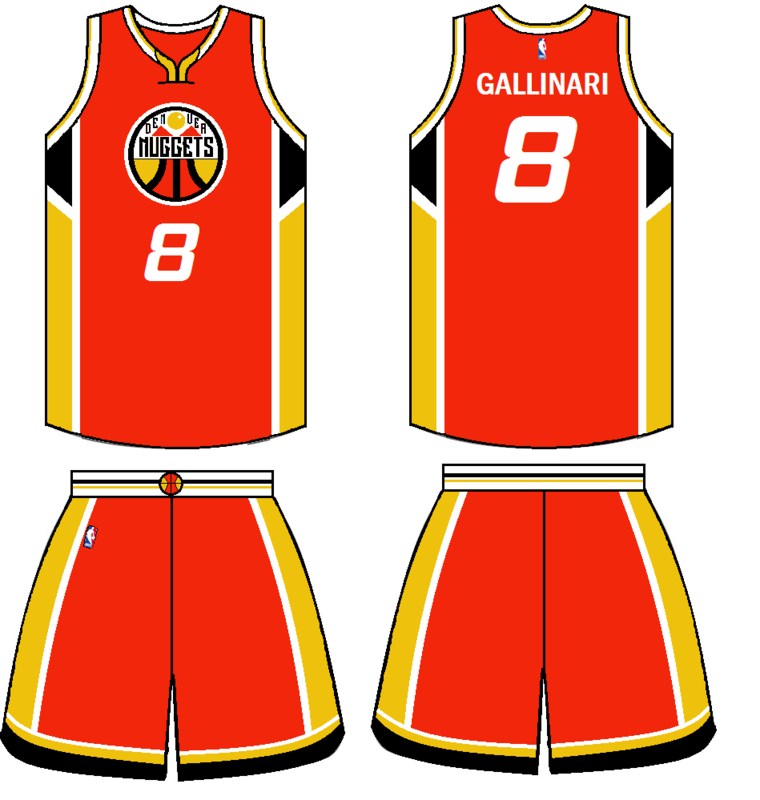 So I am back with an updated set of jerseys and logos. 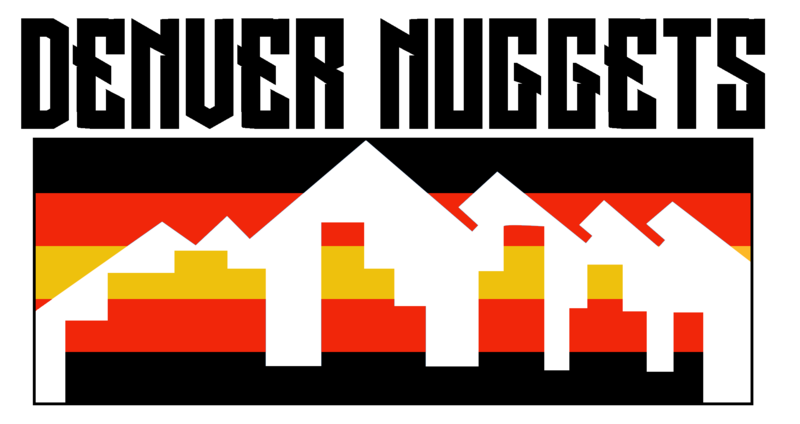 I've decided to ditch the color scheme that I was trying before due to the complications and have used the current colors that the Nuggets use in their logo. I also made some slight changes to the overall design of the jerseys. Hopefully this set appears better than the last. I'd change that side pattern. It reminds me of Toronto. I'd probably look at some type of Tetris pattern on the side in it's place.